"Good Morning... What we have in mind, is breakfast in bed for 400,000 people "
In 1969, Hugh Romney served as chief of the Please Force at the Woodstock music festival, where the Hog Farm administered the free kitchen and bad-trip/freak-out tent. 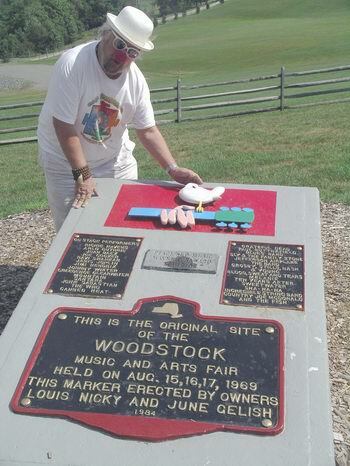 He was captured in the movie "Woodstock" that propelled him into the world press. 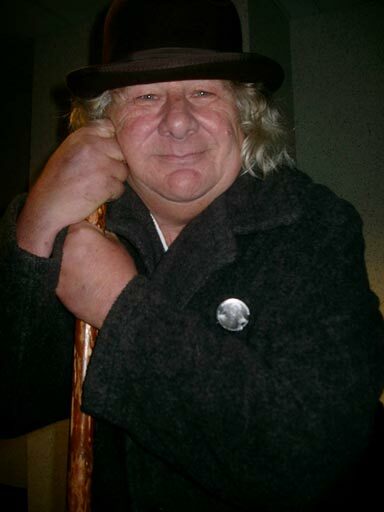 Hugh became a good-humored peacemaker and purveyor of life support at major rock festivals and political demonstrations of the sixties and seventies and changed his name to Wavy Gravy at the Texas Pop Festival. The film, 10 yrs in the making, follows Wavy as he in his quite unordinary world, including archival footage from his days in The Village, to the mnts. of the Himalayas, to Camp Winnarainbow & of course Woodstock. The film sound track makes use of Wavy's song 'Basic Human Needs' & includes vocals from Bonnie Raitt, Jackson Browne, Bob Weir, Dr. John, Steve Earle, David Crosby, Graham Nash & others. 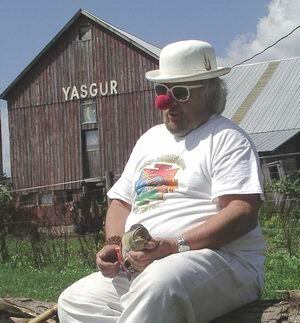 Saint Misbehavin' will reveal the true story of cultural phenomenon Wavy Gravy -- a man whose life proves that you can change the world and have fun doing it. 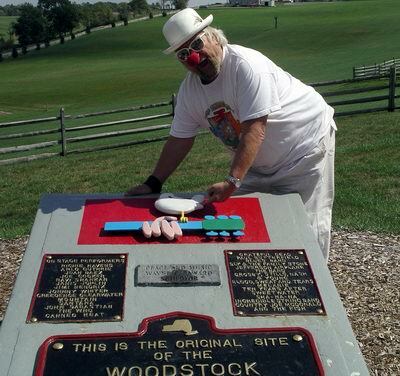 Wavy Gravy is known in some circles as the MC of the Woodstock Festival, a hippie icon, clown, and even a Ben & Jerry's ice cream flavor. He is all those things, but in Saint Misbehavin' we meet a true servant to humanity who carries his message through humor, love and a special song he sings where ever he goes, 'Basic Human Needs'. As the song goes, "wouldn't it be neat, if the people that you meet, had shoes upon their feet and somethin' to eat and wouldn't it be fine if all humankind had shelter." Saint Misbehavin' will weave together intimate veritÌ© footage, reflections from an array of cultural and counter-cultural peers, and a rich collection of archival material to tell a story that is bigger than the man himself. 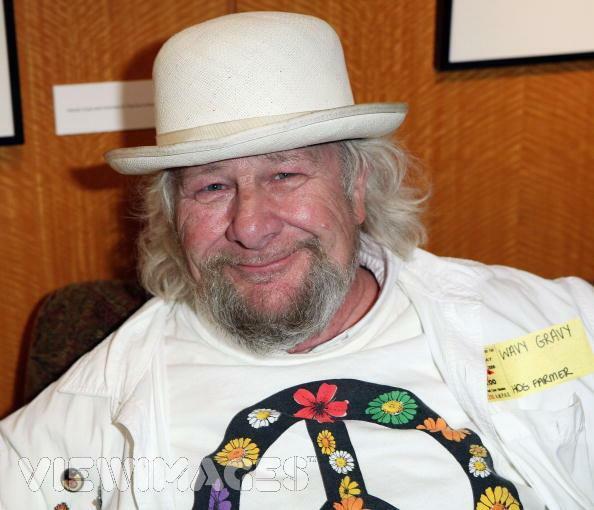 Like few others of his generation, Wavy Gravy (born Hugh Romney) has been at the center of most major American cultural movements. Wavy fostered the Beat generation by bringing poetry and folk music to the legendary Gaslight Cafe in Greenwich Village. 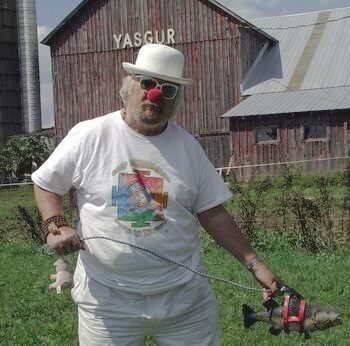 He helped start the influential Hog Farm commune who provided free food and support to 400,000 at the Woodstock Festival. 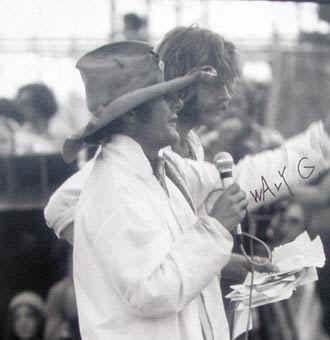 As MC of Woodstock and star of the Woodstock film, Wavy instantly became a spokesperson for the emerging counterculture. And he was just getting started. Wavy has worked tirelessly in support of the poor and suffering people of the world. Along with the Hog Farm commune, Wavy journeyed in rainbow colored buses everywhere from small town America to the Far East. They took their way of life on the road and left an indelible mark on every community they reached. Wavy co-founded the Seva Foundation with Dr. Larry Brilliant. Through his legendary benefit concerts Wavy has helped to bring sight to millions of people in the developing world and health care to Native Americans. Wavy also founded Camp Winnarainbow, a circus and performing arts camp, which passes on his ideals -- love, compassion, and that we are all in this together! With these stories and so many more, Saint Misbehavin' will excite and inspire audiences who are unfamiliar with his story as well as those who have admired Wavy for years. simple way, every day... what a wonderful world it could be. This is a "must see".